Arkansas residents can get this free cellular plan and a free handset. 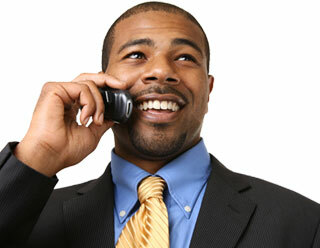 You can get wireless phone service with 1000 free anytime mins per month with Lifeline government assistance. To qualify, you just need to be receiving some form of gov't assistance like Medicaid, food stamps, Veterans Pension, SSI, Federal Public Housing, etc. or have a total household income that doesn't exceed 135% of the Federal Poverty Level. For a full list of qualifying programs in Arkansas, go to our easy order form. Arkansas residents will receive a modern mobile handset and 1000 anytime minutes per month. Each month your minutes will automatically be added. This plan will not roll-over minutes to the next month. If you need more minutes, we have great pricing on pay-as-you-go minutes. With those minutes you can receive or place local phone calls as well as long distance, send or get text messages, and check your voicemail. You won't be receiving a bill for this FREE service! And, because we don't require a deposit, credit check, or contract, there is no commitment. You can cancel at any time. We have a other plans available as well. If you prefer more talk time or more text, even data, you can get a plan to suit your needs. Just complete the simple on-line order form, then upload or send us your proof of participation in SNAP, Medicaid, or one of the other benefit programs you are enrolled in, and we'll send you your mobile handset on a gov't phone plan right away for no charge.